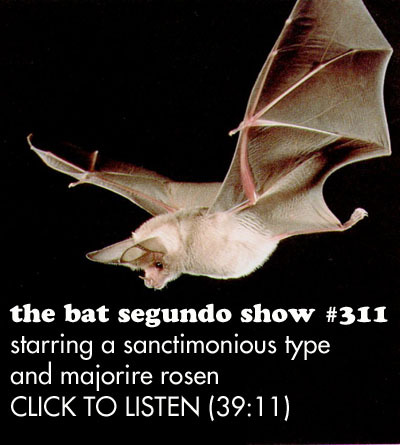 Marjorie Rosen recently appeared on The Bat Segundo Show #311. Marjorie Rosen is most recently the author of Boom Town: How Wal-Mart Transformed an All-American Town Into an International Community. Condition of Mr. Segundo: Kicked out of bed. Subjects Discussed: The white and non-Hispanic white majority in Bentonville, Arkansas, numerous houses of worship, multiculturalism, the largest population of Marshall Island immigrants in the United States, work for unskilled laborers, exploitation at Tyson and Wal-Mart, Wal-Mart’s $319 billion annual profit and its failure to offer proper healthcare, sentiments from former Bentonville mayor Terry Black Coberly, whether or not Wal-Mart is good for Bentonville, The Whistler Group, Wal-Mart, Christian-based merchandise, and staying in denial about being a “Christian company,” mandatory Saturday morning meetings, “diversity groups,” the conflict between Saturday morning meetings and shabbat, St. Paul Wal-Mart worker Abdi Abdi fired for praying on work breaks, the difficulties of integrating with a white community, trying to get Wal-Mart middle managers to disclose salaries, relative salaries and Bentonville’s relative economy, Bentonville housing, the abuses of the Bentonville and the Rogers Police Departments, the culture of fear spawned by Section 287(g), Rogers Mayor Steve Womack’s racist sentiments, Sheriff Joe Arpaio and white privilege, and the reasonable unification of culture. Correspondent: Ajaydev Naliur said to you that the most difficult part of integrating into the larger white community was “not being able to socialize with them like we do with the Indian families. The people at work never say, ‘A.J., come to my house for dinner, come to my home. '” Now if Naliur has only a professional relationship with the Americans and he fears bringing Indian food even to the Walmart food day potlucks, then surely there’s a multiculturalism problem here. And I’m curious about why there’s this lack of integration. Rosen: No, it’s interesting that you choose A.J. I think it was his problem. Rosen: Yeah. Because he was so timid about everything. About sharing Indian food. You know, there are Mexican restaurants. There are Chinese restaurants. There are all sorts of restaurants in the area now. Not an Indian restaurant yet. But he was so timid about it. And yet there were other Indian families. Like the Kulkarnis, who were not at all. Who said to me, “Many American friends, we invite them to dinner.” And I kept wishing they’d invite me for dinner. You know, because I love Indian food. Rosen: But when push came to shove, A.J. said that he was hesitant to embrace American values. Mostly because of his daughters. He has two teenage daughters. And he was very, very afraid that they would become too Americanized. And then he would lose control of them, in terms of boyfriends and in terms of setting up arranged marriages. And it’s definitely in the picture for him. And he wants to keep his girls under his wing. Correspondent: But A.J. likewise wants to hold onto his job. And maybe the timidity comes from the fact that if he brings in the Indian food, by his standpoint, he could risk raising ire and possibly having people make fun of him. Or, I suppose, putting a red flag on the cultural divide. So is it really fair point to A.J. and say, “Hey, it’s your problem.” Because he is, in fact, the guy who is bringing sodas and pretzels and potato chips and the like. Basically conforming to American society. Rosen: He said it was his problem. Correspondent: He said it was his problem? Rosen: He said it was his problem when I spoke to him about it. I said, “Gosh, people love to share.” Especially in terms of food. People are very open to that kind of thing. He said it was his problem and his timidity. It’s funny. His wife, it’s been harder for her because it’s taken her a longer time to learn English. Now that she’s learning English, she works at a day care center. She’s having a great time going to weddings of friends without him. Because she’s much more willing to socialize with Americans somehow. Now that she’s learned English, it’s easier for her. Correspondent: Well, if she’s the social butterfly, has she brought Americans to her place? Or anything like that? Rosen: But now that she’s learning English, and she’s more comfortable in her own community and basically in her own skin, I really have detected a change in her. It’s really lovely to see that. Correspondent: By comfortable in her own skin, do you mean as she’s learned English? What do you mean by that? 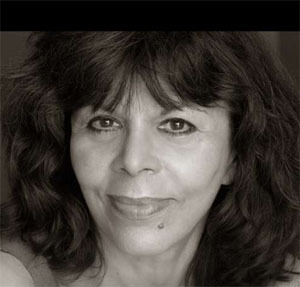 Rosen: As she’s learned English. She’s been able to take a job and hold a job by herself. And I think that’s given her a little bit of freedom. Not, I would say, a lot. But a little bit of freedom. Correspondent: Freedom to further integrate with American culture? Correspondent: Or…because it seems to me that we’re getting a one way signal here. I mean, shouldn’t multiculturalism work where everybody integrates together? And everybody goes, “Hey, Indian food. Hey, American food,” and that kind of thing? Rosen: Well, I think it’s nice that she has American friends from the day care center where she works who invite her to their wedding. Which entails a whole day of traveling and celebrating. I mean, to me, that’s a gesture in a community that maybe ten years ago would not have made that gesture. And she would have been too timid to go without him.